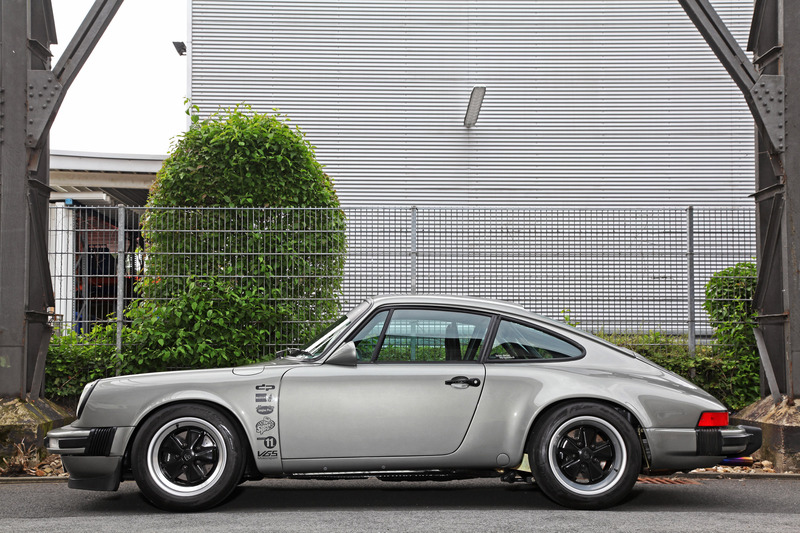 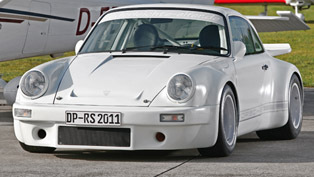 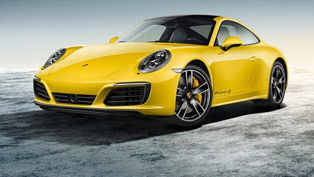 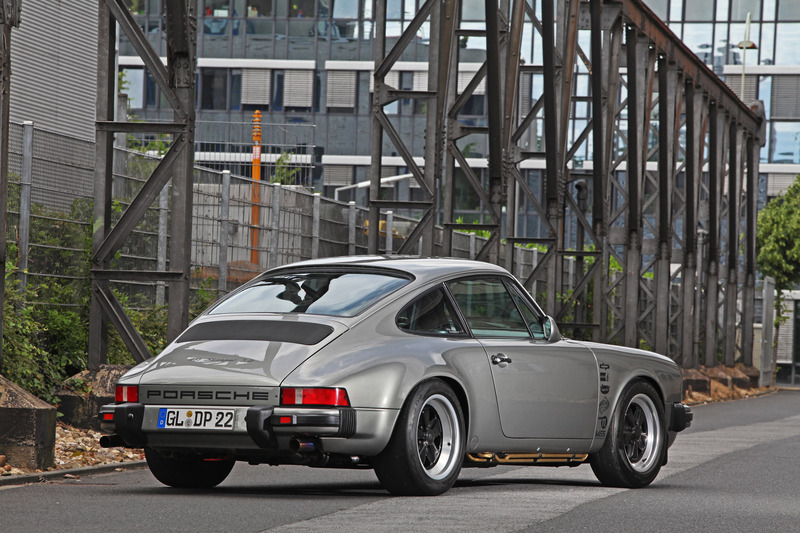 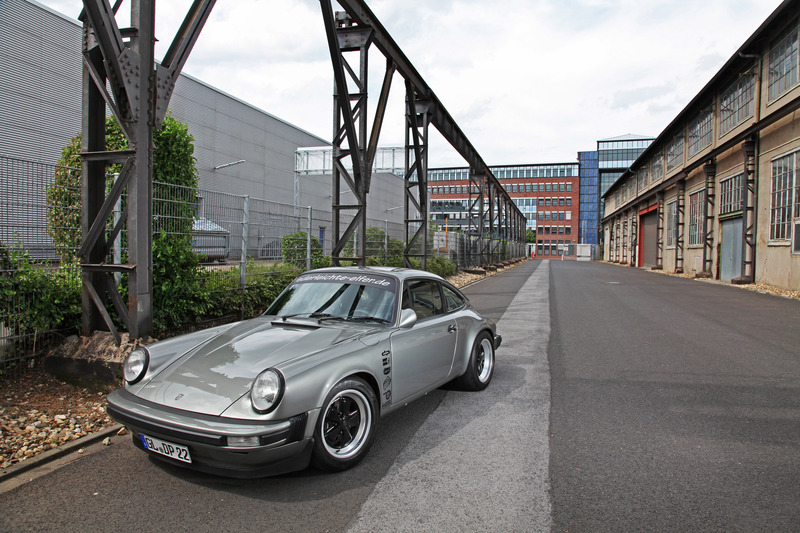 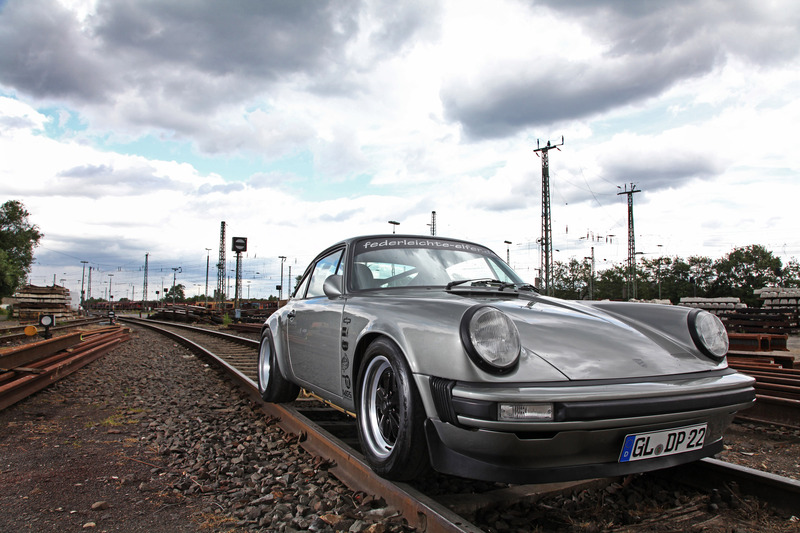 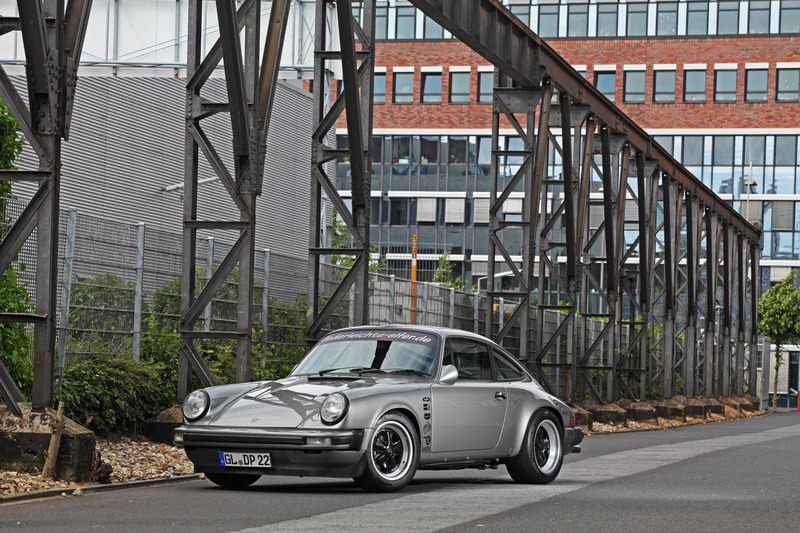 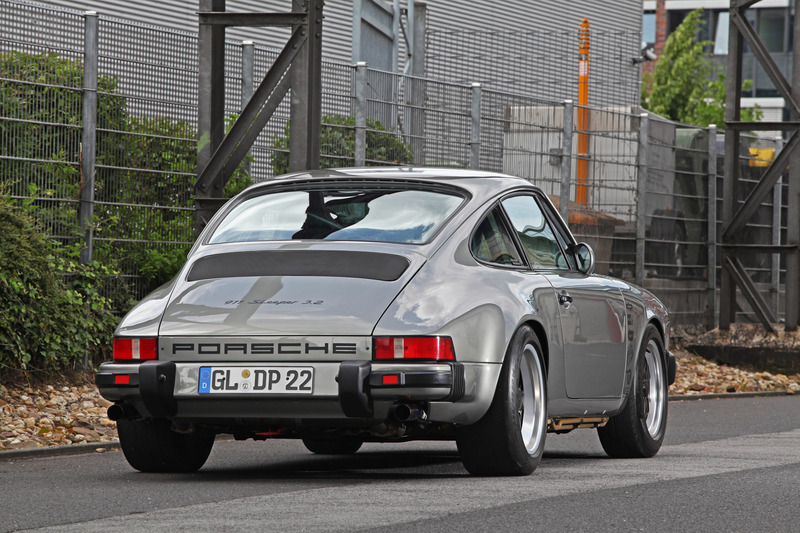 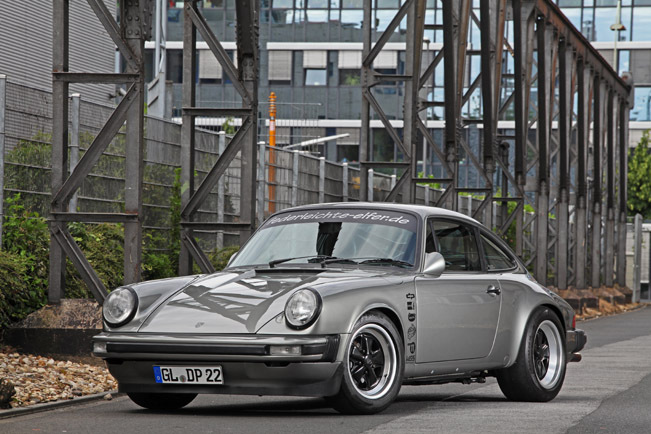 DP Motorsports has rebuilt a classic Porsche 911 left the factory in October of 1986. 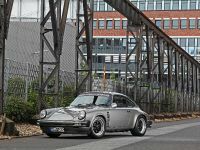 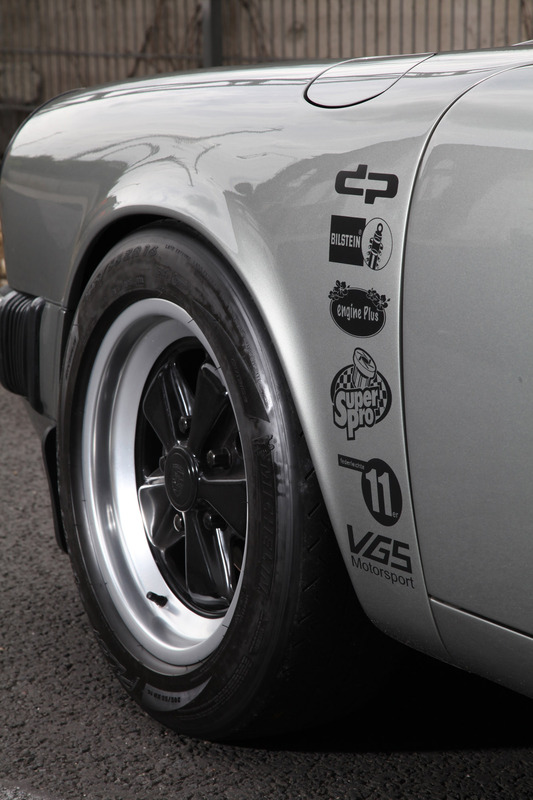 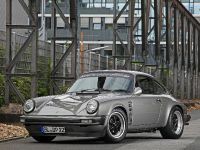 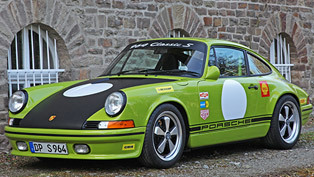 For this year's 40th anniversary, the team at DP Motorsport transformed the car into a feather light Club Sport racing car while retaining the looks of a stock 911. 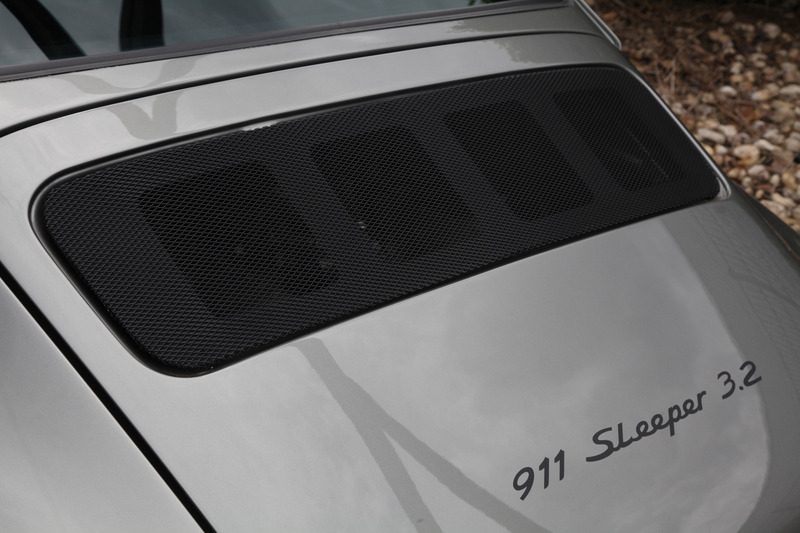 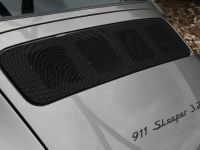 The 911 has been put on diet and whopping 280kg (618 lbs) were shaved off resulting in a total weight of just 905 kg (1997 lbs). 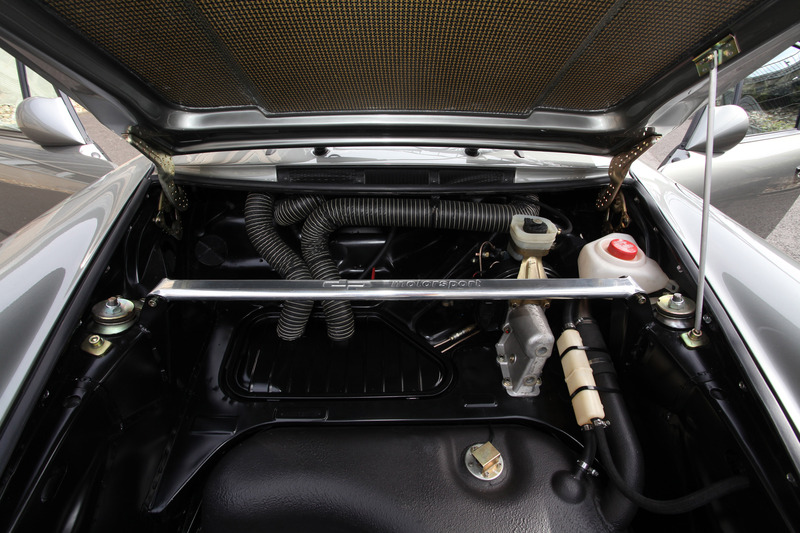 The body was completely stripped and every bit of paint and undercoating has been removed. 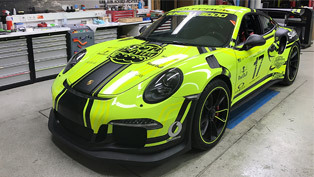 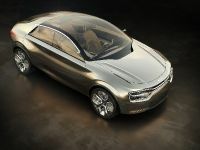 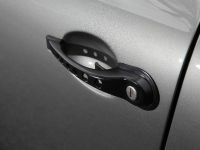 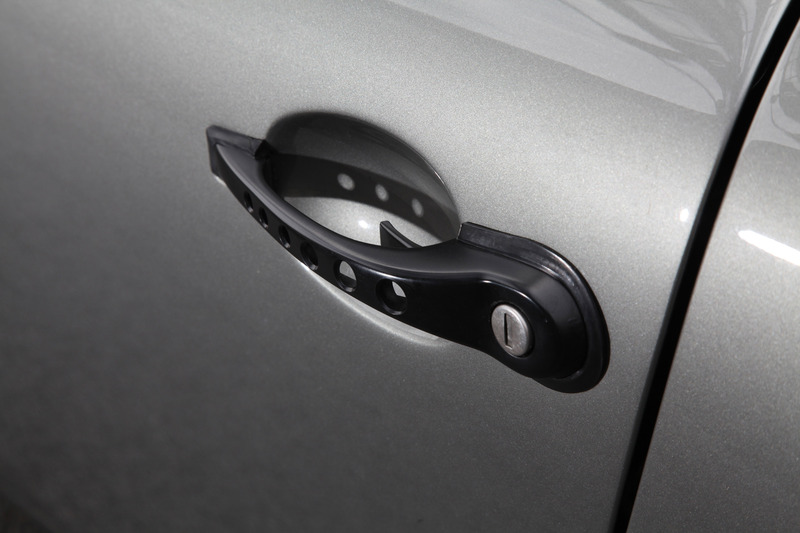 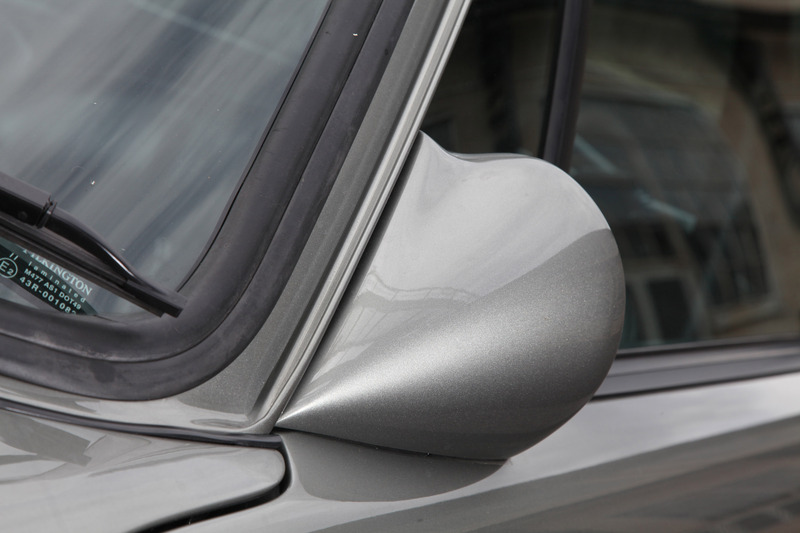 The exterior boasts lacquered in metallic rock-green (color code 699) otherwise everything looks just normal. 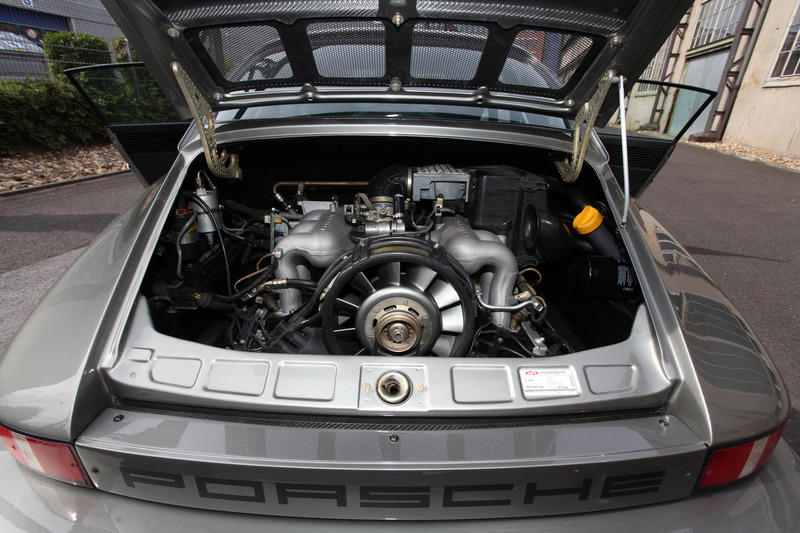 The 3.2 liter flat-six comes with 288-degree Schrick cams and ported and flowed cylinder heads. 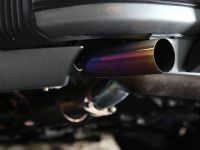 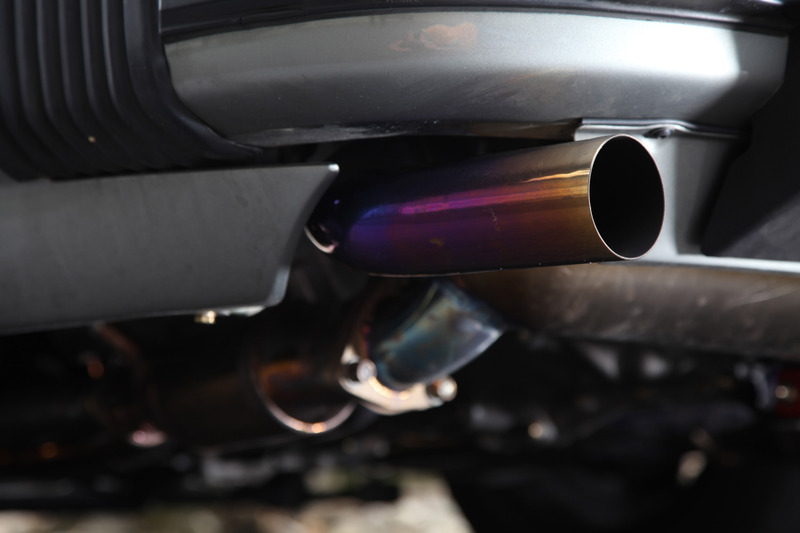 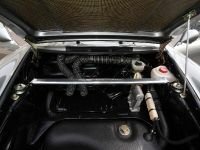 The throttle valve was enlarged up to 67 mm and further on you will find a lightened flywheel, two 100-cell catalytic converters from HJS as well as an RSR racing exhaust system made of titanium. 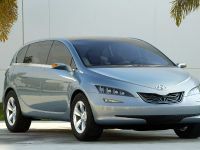 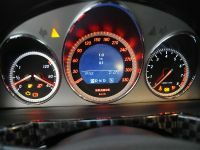 The result is 270HP (199 kW) and 307Nm (227 lb-ft). 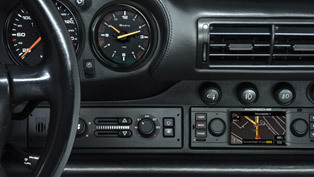 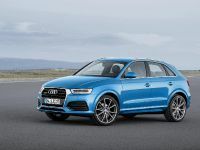 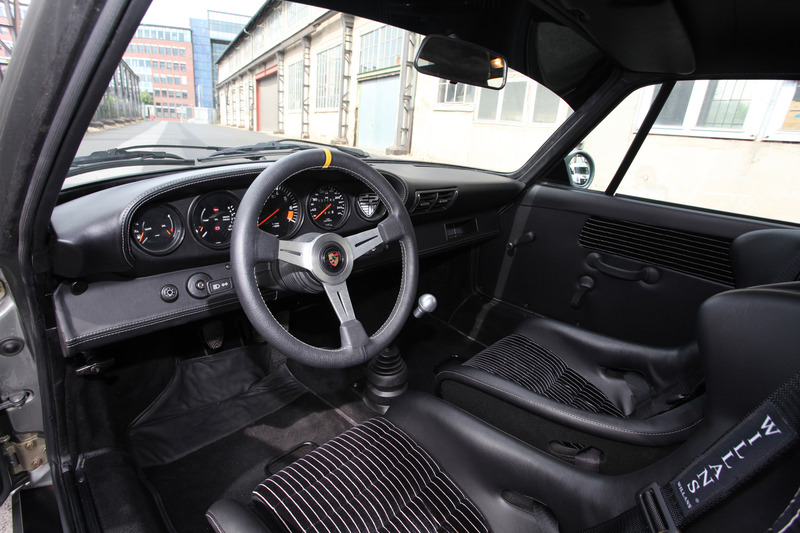 The 5-speed 915 gearbox is equipped with a limited slip differential, an external cooler, and of course a short shift mechanism with extended shift lever. 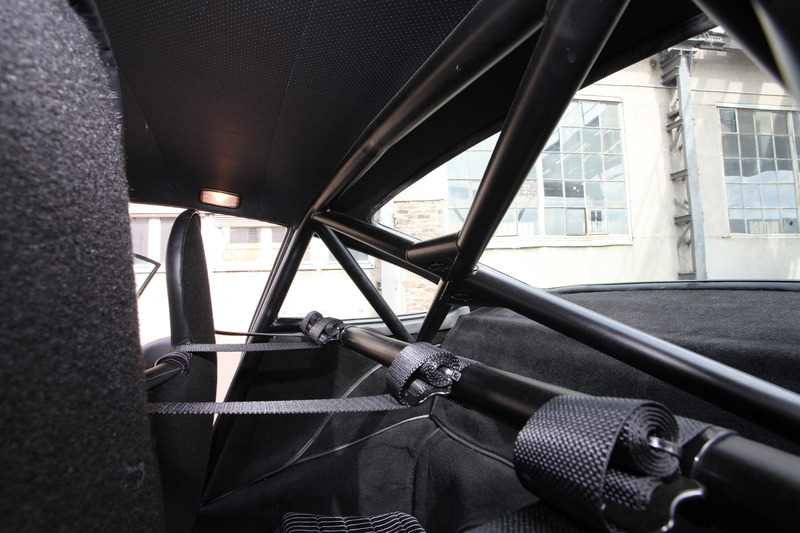 The suspension also received some performance parts - street/sport Bilstein-shock absorbers, Super Pro polyurethane bushings and Uniballs all around. 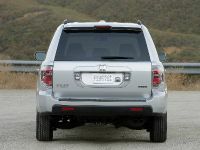 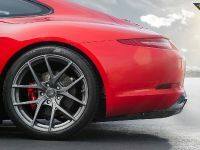 The 7J x 16" front wheels are fitted with 225/50 R16 Michelin tires, while the 9J x 16" come with 245/45 R16. 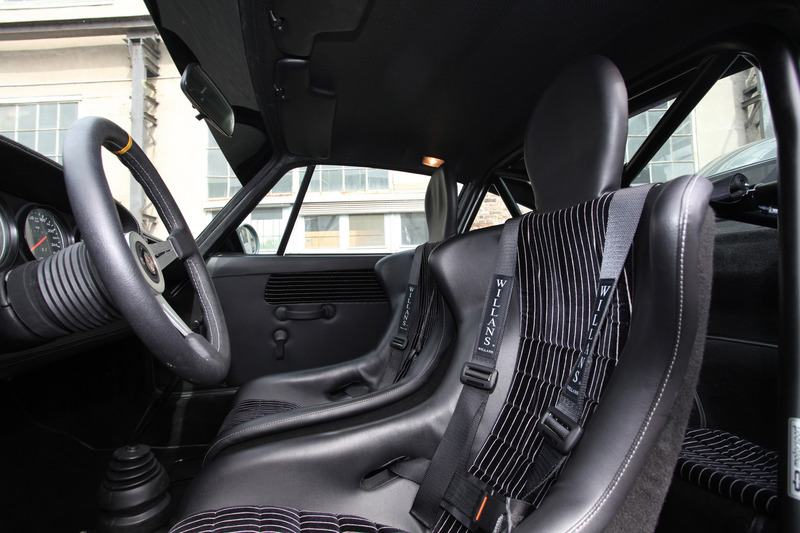 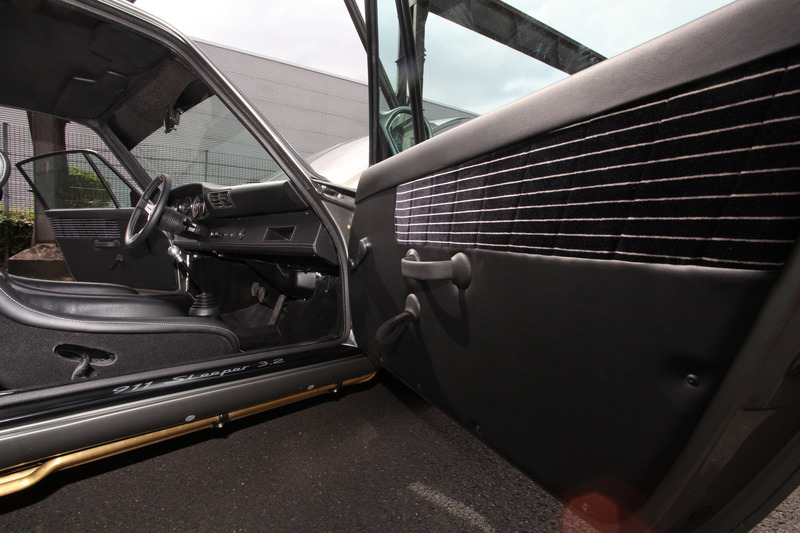 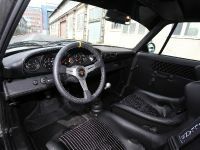 The interior boasts 935 style Lollipop-seats with Williams 4-point harnesses, a DP Motorsport Club Sport roll bar, a 350mm sport steering wheel, and RS-lightweight carpet. 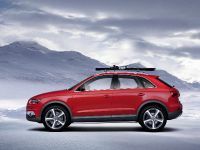 The car is also equipped with an electrically heated windscreen, a lightweight 25Ah gel battery and last but not least a special manufactured racing cable harness. 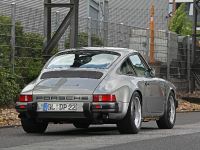 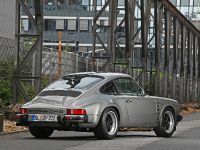 The price for the complete conversion is serious - € 89,911.